Students at CDS can begin debating in Grade 7 and enjoy an increasing number of opportunities to compete through Grade 12. By learning the art of debate, students build confidence, develop critical thinking and communication skills, and acquire a wider understanding of current and historical events. 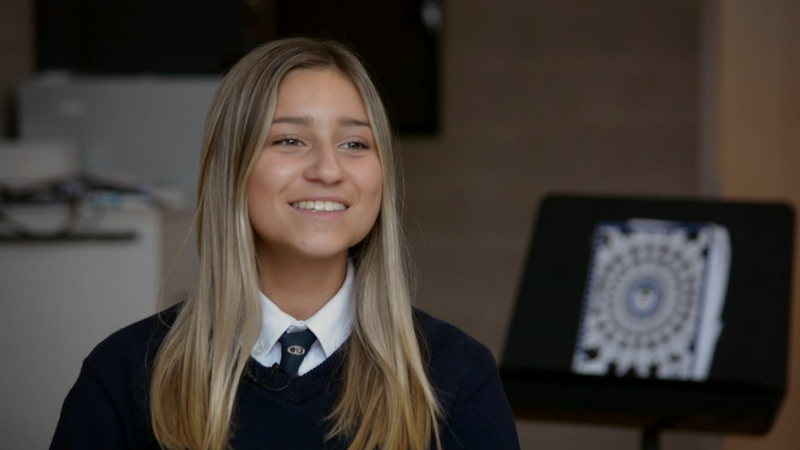 The Debating & Public Speaking Club’s ongoing success over the past nine years has contributed to its growth and popularity as more experienced Senior School students are keen to mentor younger students and help contribute to their skill development. The Club at CDS has experienced another banner year competing on the world stage. Veteran Debating Coach, Kerstin Wyndham-West, has facilitated this club for more than 20 years and is extremely well respected among her colleagues and students worldwide. CDS made history on Tuesday at the World Independent Debating and Public Speaking Championships (WIDPSC) held at Branksome Hall in Toronto this past week. Not only did our veteran coach Ms. Kerstin Wyndham-Westbring three students for the first time in her 12 years of qualifying CDS students, but one of our own won the World Championship once again. For the second year in a row, the three-person CDS Debating team finished first overall at the International Independent Schools’ Public Speaking Competition (IISPSC) hosted by St. Clement’s School in Toronto last weekend. In total, 167 students representing 47 teams from 7 countries participated at the annual IISPSC this year. Congratulations to Grade 8 student, Arjun Walia, for his outstanding performance at the Canadian National Junior High Public Speaking Championships held at West Point Grey Academy in Vancouver last weekend. His Top 18 finish was remarkable, as the majority of students competing were in Grade 9. Arjun's Persuasive Speech on the dangers of the over-prescription of antibiotics was particularly well received and achieved fifth place. Thank you to his debating coach, Ms. Sagalina Doré, for accompanying him to the event. This is an impressive feat for a Grade 8 student and we are immensely proud of Arjun's accomplishment! Kerstin Wyndham-West was born and raised in London, England, and she graduated in 1990 with an MA (Hons) from Hertford College, Oxford University, in Philosophy and Modern Languages. She then spent several years teaching English at the Gymnasium Oberalster in Hamburg, Germany. Canadian National Junior High Public Speaking Championships was intended to offer junior high students an opportunity to showcase their public speaking talents. Based on the same events that exist at the Senior High Speech Nationals, this tournament welcomes students from all provinces with active debate and speech associations. CDS is a member of the Fulford League, a group of independent schools that compete in several tournaments to earn the Fulford Cup at the end of the year. The International Independent Schools’ Public Speaking Competition gathers more than 150 high school students from countries across the world to compete for a chance to qualify for the World Individual Debating and Public Speaking Championship held every spring. Ontario Student Debating Union is a charitable organization that hosts and promotes competitive debate for Ontario students up to Grade 12. OSDU organizes a Provincial Championship every spring as well as a variety of regional debates and workshops. It also works with the Canadian Student Debating Federation and helps select students to represent Ontario at national and international debating events. World Individual Debating and Public Speaking Championship is an annual international English language debating and public speaking tournament for individual high school-level students representing different countries. Rachael Andrew ’09 - Reading, U.K.